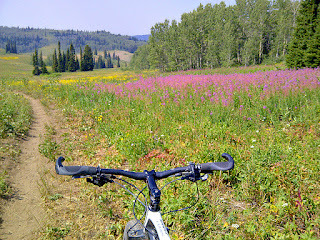 Summer started early in Driggs this year, and lingered long. 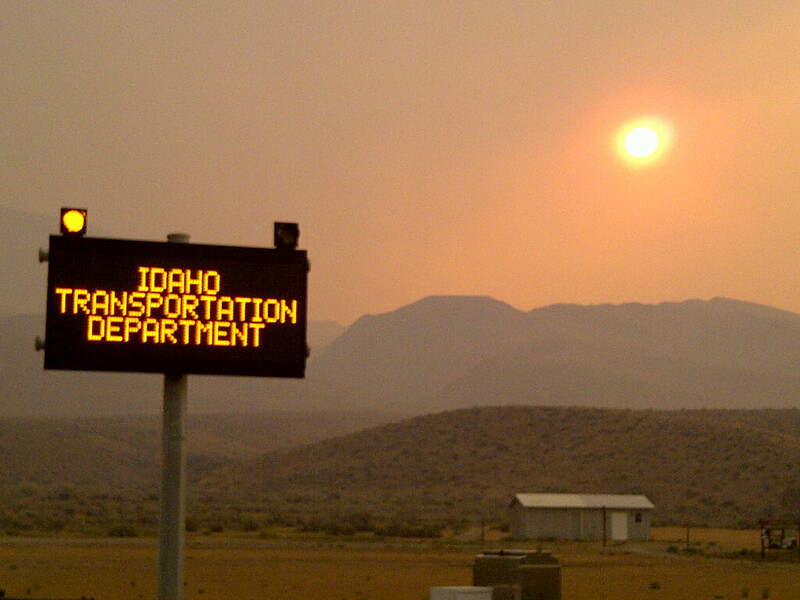 It's been a rare season of protracted warmth & sunshine, and with the exception of smoke from forest fires in Central Idaho, it has been beautiful and oh-so-enjoyable. 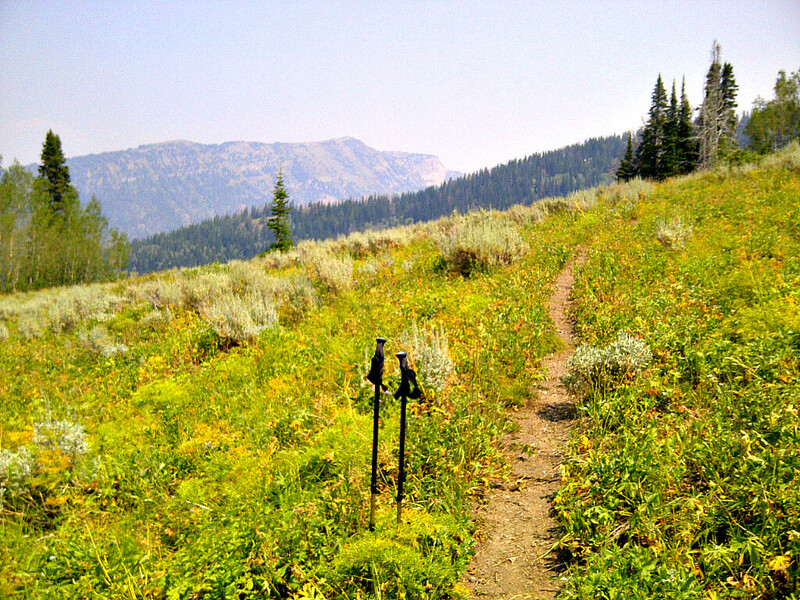 The above photo from an early-August mountain bike ride around Rick's Basin (at Grand Targhee) is typical of the summer afternoons we've savored here in Teton Valley. 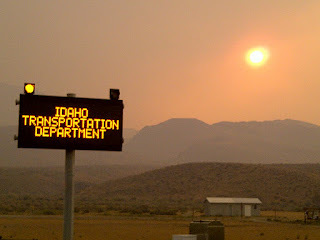 Speaking of smoke: I've spent a good deal of time working in the Challis, ID area these past three months, and smoke has become part of life in Custer County. 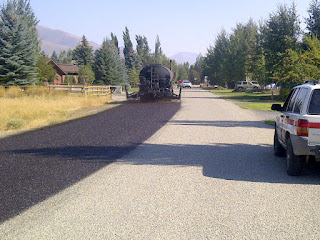 Over 450,000 acres of forest has burned within 60-miles of Challis this summer, much of it beetle-kill trees that were tinder-dry and simply could not be saved. Much like the Yellowstone fires of 1988, the current Central Idaho blazes won't be contained until snow accumulates in the high country. Life has continued as normal, otherwise. 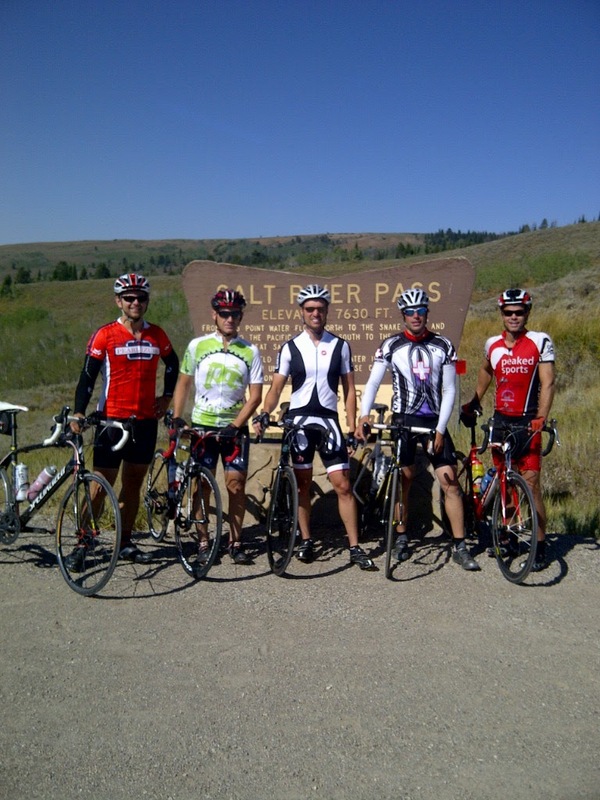 There was the annual Star Valley Century bike ride which I did with Melissa, my brother Curt, cousin Brent, M-Russ, Todd Q, and Garth "catch me if you can" Kaufman. 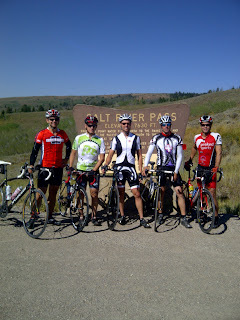 It was a beautiful day in one of my favorite places, especially the top of Salt River Pass. 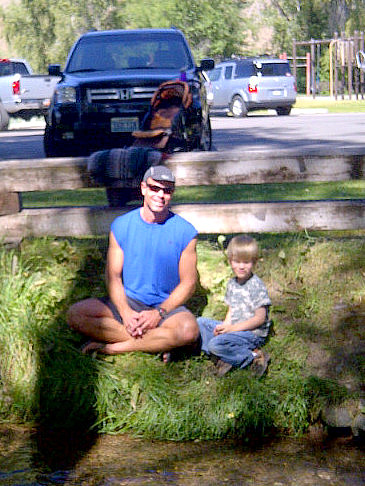 Post-ride, I enjoyed some time chilling with Garth's son Palmer. He's four, super-cool, and already riding his bike around the local bmx track. I can't even imagine how fast this kid is going to be! So much good fun this summer, it's nice to re-live it now. 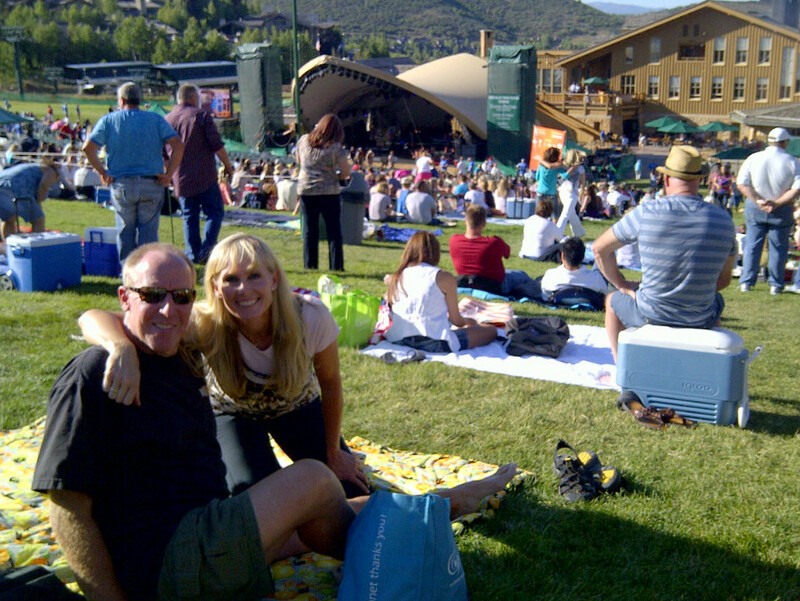 A big highlight was the Earth, Wind, Fire & Utah Symphony concert at Deer Valley back in early August, with good friends Tim & Jane. It was big, yet intimate. Food was delicious, drinks flowed, laughter abounded...and the music resonated. 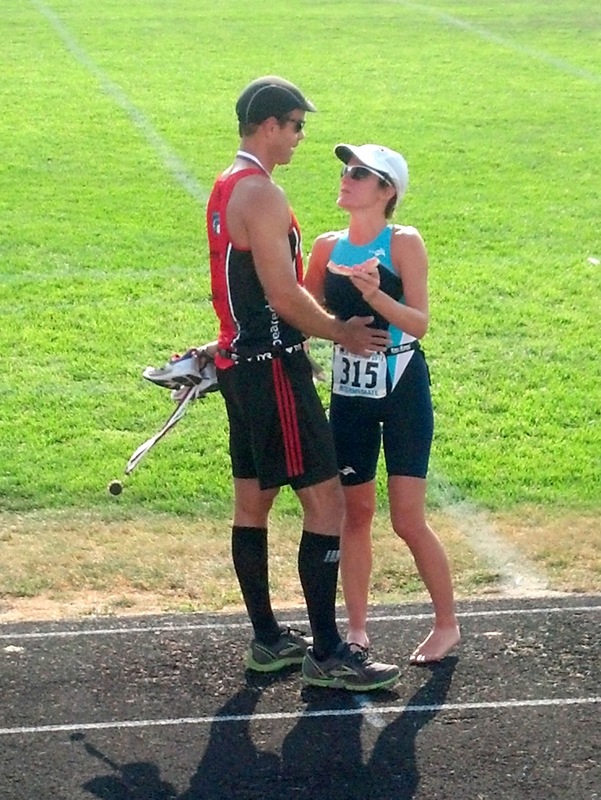 There was also the Rexburg Rush Triathlon, less than an hour away from Driggs. I'd considered this race for several years, and finally went for it. It was a great course that had a surprising amount of climbing on both the bike & run sections, through beautiful Idaho potato fields. I placed 2nd in my age group; Melissa was 1st overall female﻿, and she waited patiently for me at the finish. Those darn swimming & running things slow me down. 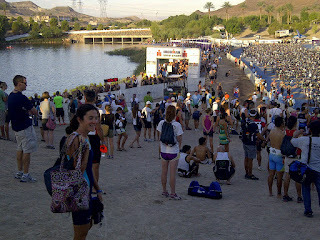 Next up for Melissa was the Ironman 70.3 World Championship race at Lake Las Vegas, NV. I've done some big events in recent years, but this scene dwarfed anything I'd ever experienced. 2,000 of the fittest, fastest athletes on the planet, along with their families & friends. 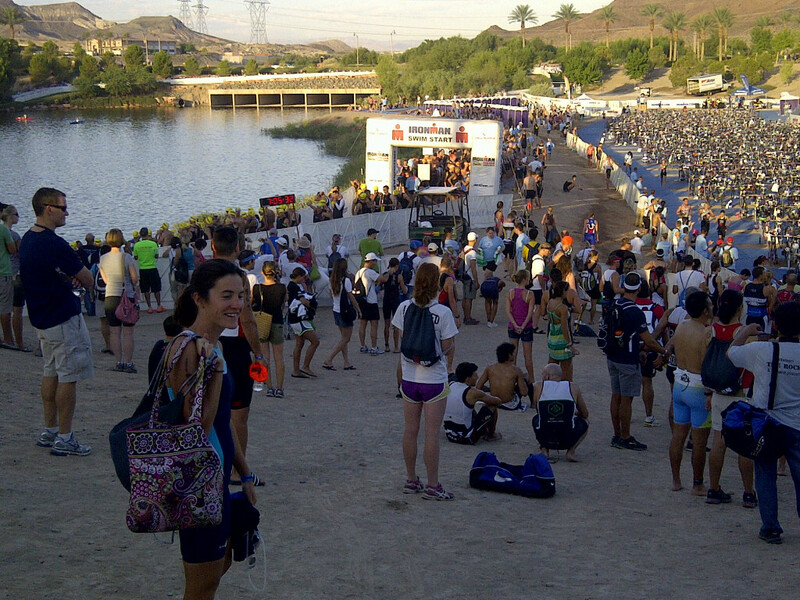 Combine that with Ironman's unrivaled professionalism and the Vegas scene, and you get the picture...it was a big deal. Melissa rose to the occasion, conquered the demanding course and insane 98-degree heat, placed in the top 1/3 overall females, and wasn't even sore afterwards. I was impressed, and proud. A week after Melissa's Ironman World Championship race in Vegas, I did a local triathlon at Pineview Reservoir outside of Ogden, UT. I was hoping to make the Podium in my age group at least, but flatted on the bike course. 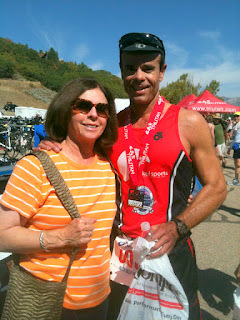 I still finished, and remembered that racing is about much more than placing high; it was a beautiful Fall day in the mountains, fellow competitors were terrific, I had great support in Melissa...and my mom even came to watch her first Triathlon. 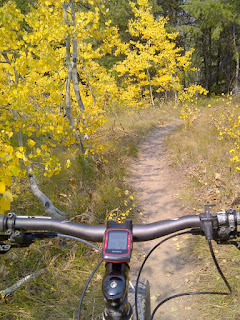 On a related note: I finally bit the bullet and got a Garmin 500 for my cycling. It records elevation, speed, heart rate, temperature, cadence, calories burned...but you still have to do the pedaling yourself. 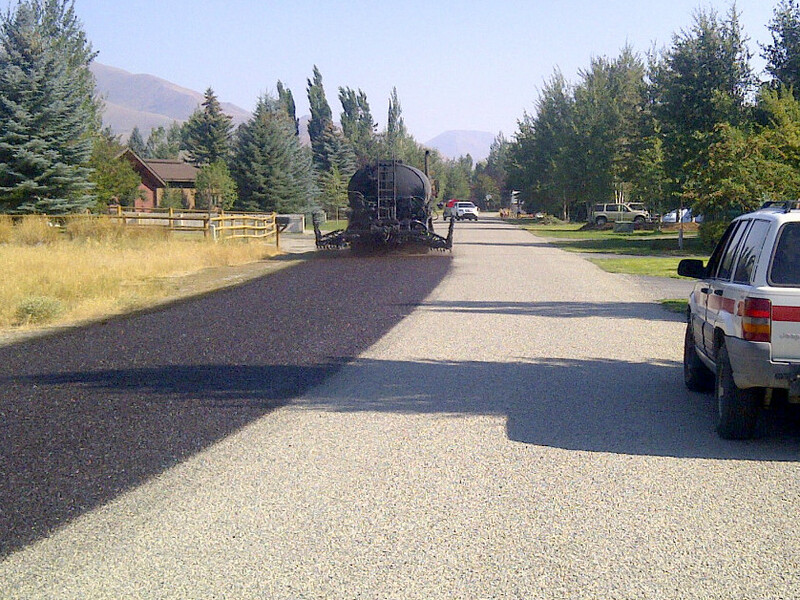 And the cool part is downloading to the computer afterwards, and sharing/comparing with other Garmin users. It took me a few years to adopt this technology, and now I'm hooked. For all my complaining about swimming, I actually enjoy it (I'm just slow). 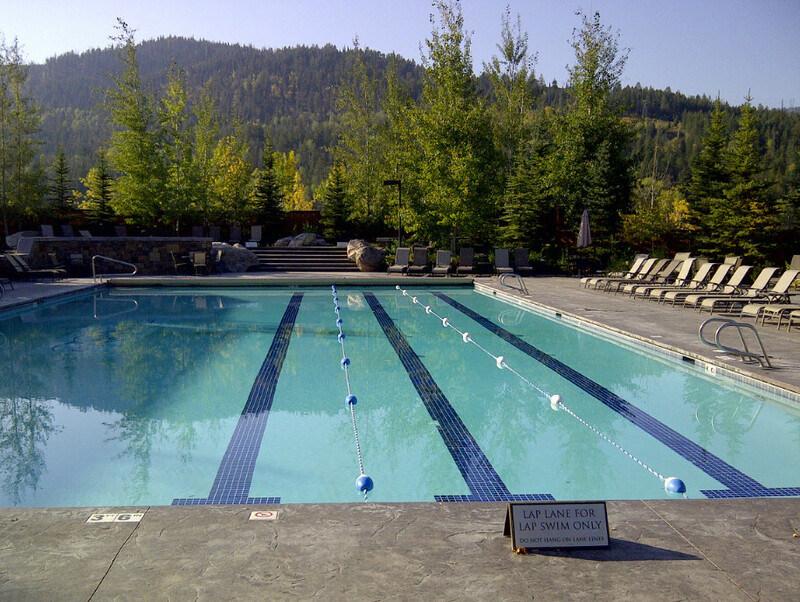 I've had a great summer season at the Teton Springs pool, meeting my buddy Joe there at least once/week to workout and take in the scenery. 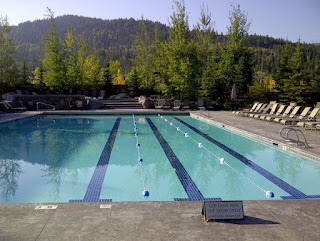 The pool closes for the season in two weeks, but it's been a good long summer. Everything is better when done outside, including lap swimming. 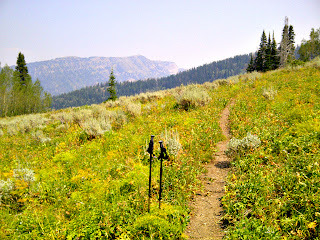 I've managed a handful of hikes this summer too, and never tire of the Teton backcountry. Solitary time in these mountains has been invaluable during the past few months, sorting through my feelings during a time of change. It's my church really, and life is feeling right. 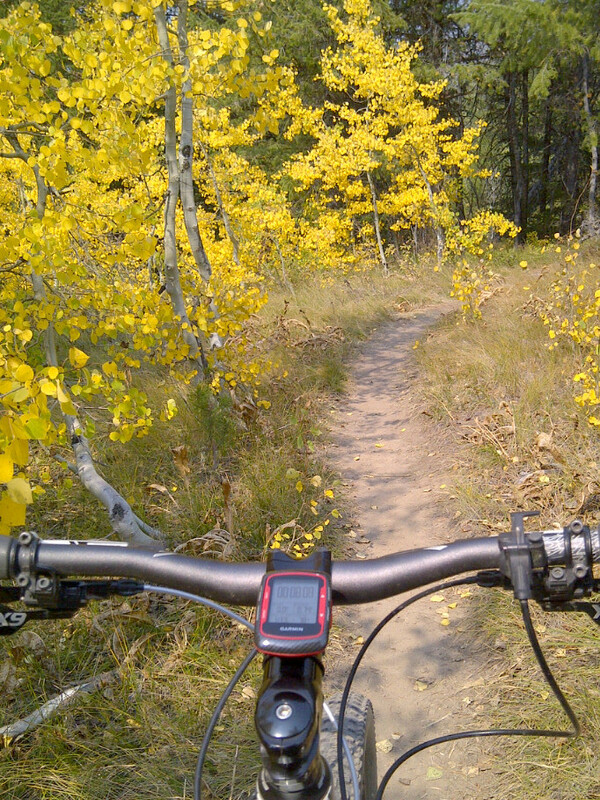 Here's to happy, peaceful trails to all this fall...and beyond.